The Napoli, Italy MTO Medical Kit requirement showcased LCI’s ability to quickly adapt to a unique requirement regardless of unforeseen challenges and an aggressive schedule. 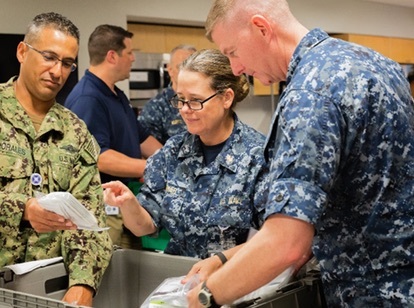 This requirement initially started as a pre-solicitation presented by the DLA-Troop Support Europe/Africa contracting office, only to be removed from the marketplace and inserted into the Make-to-Order Medical Kitting Program in order to meet the urgent needs and tight schedule of the Naval 6th Fleet customer. 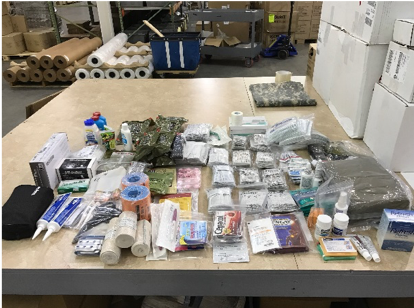 The key characteristics of this requirement included the need for three distinct medical kits, each with its own suite of medical components, but all utilizing the same black, water-resistant medical pack. 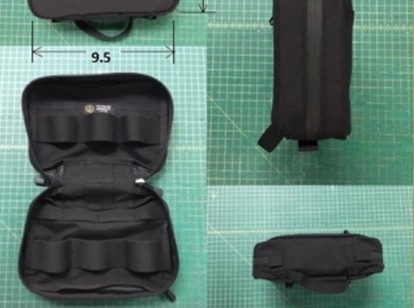 The first challenge was finding a man-portable, black, water-resistant medical pack that would be large enough to fit all the components of each kit, but small enough to wear comfortably for long periods of time. Each pack required a distinct bill of materials ranging from 47 to 65 different types of components in each. Once the customer selected a pack, the next challenge was streamlining the acquisition process by responding to the requisition and submitting a proposal in less than 24 hours. In order to ensure we could meet the customer’s schedule, the company went out on risk and purchased all materials and packs ahead of receiving the official purchase order. The critical moment with this opportunity came when all the items arrived at our manufacturing facility and were received into our inventory. 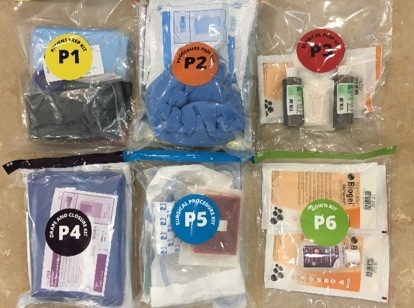 It was clear that the components required for two out of the three types of kits were not going to be able to fit in the bag that the customer had selected. Once the problem was identified, the LCI Team immediately began working on a solution. 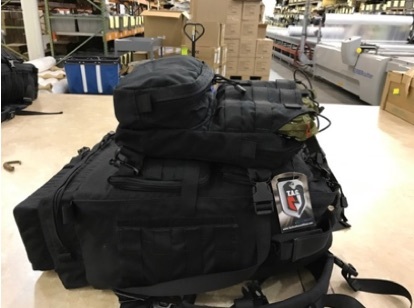 Due to our experience in the medical kitting and tactical gear space, we were able to find a small bag that could attach to the original pack to fit the additional components without sacrificing the functionality and comfort of the pack itself. The LCI Team successfully completed the kitting of all three different types of kits, and delivered the order to the customer ahead of their 30-day requirement. This customer experience showcased the speed and sense of urgency of the LCI and AMD Team in responding to critical requests and doing whatever it takes to meet the customer’s requirements.